I tried really hard to write a post where I was all La-dee-da about something that happened today, but I just can’t gaslight you all that way. I’ve got to be honest, it’s just not fair otherwise. Last night I took a guess at a needle size, and knit a swatch for Elliot’s sweater. Then I washed it (because unwashed swatches are total lying arseholes) and because it’s colourwork. (Remember from a post or two ago? I want to see dye problems now, not in the finished sweater.) Then I laid it tidily out to dry, and went about my life. I returned, not too much later and measured it. Knitters, I have both stitch and row gauge on the first try. Like I said, I was going to try and pretend to be all casual about that BUT I CAN’T BECAUSE IT IS LIKE FINDING A FRIENDLY SPARKLE UNICORN IN YOUR BATHTUB. But swatches still lie. I’m going to guess a nice rouse game of Yarn Chicken awaits. You got gauge? Yeah, that swatch is totally lying to you. I suppose if it produces a too-big jumper, that’ll be fine, what with the child growing thing. Totally unrelated to the post. Every year about this time I start thinking about you gearing up for your ride. I admire your gumption, and envy your riding schedule. I was wondering, when you start to ride (hopefully after the snow goes away) if you could share your Riding Diary with me. Something like that. I would love to ride along, even though I am in the Pacific Northwest. Do you think that is do-able? DudeDudeDude. You said it out loud. You have now taunted the Yarn Gods. Beware. They’re vindictive little assholes. This! A flag has been raised and some nasty twist of fate is going to notice. I will hope for the best, but I’ve seen how evil unicorns truly are (those horns are POINTY and right.out.front for stabbing purposes). Sparkling unicorns are good– if they stick around. I hope that swatch isn’t playing an April Fool’s joke on you! More likely Steph is playing an April Fool’s joke on us! Or else the yarn she is attempting to use has been discontinued and she only has the two balls … which will turn out to be enough for exactly 94.2% of a sweater in Elliot’s size. are sparkle unicorns ever unfriendly? or is that just an American thing? enjoy your unicorn sweater. adventure awaits! This is when my swatch gauge is not the gauge that shows up when I actually knit the sweater. Hope that doesn’t happen here. Golly, people are skeptical! I believe that the sweater will continue to be in the correct gauge, and that Eliot will love it! I’d say less skepticism and more realism. We all know swatches are fickle and can lull you into a fall sense of security. Pretty sure the gauge swatch is correct, but a skein of yarn will be lost at the airport and then recovered by another knitter, but not until after his birthday of course. Just out of curiosity what could you do if you get say stitch gauge but not row gauge? Most of the times I don’t try to match pattern’s gauge, since they are not usually to my taste (i.e. too loose, fishnet style). 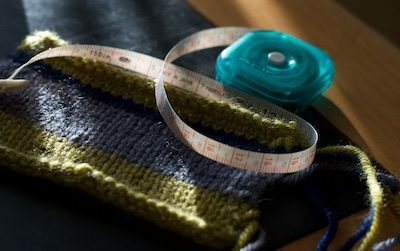 I knit a swatch with my preferred feeling of fabric and then re-calculate the stich count with my gauge or pick a size which gives me the size I aim for with my gauge. This would probably be be too much math for Steph. She can do it but would rather get gauge by adjusting needle sizes. Quick, buy a lottery ticket. Congratulations! What luck, but in your case I suspect that knowledge and skill had more to do with the happy outcome. It’s important that we celebrate all of the joys in our lives. Yay! May the force be with you! Brava Steph, may the unicorn force stay with you! Elliot will love it! I’m just here for the comments. I’ve got my bowl popcorn by my side. Even sparkly unicorns have to excrete sometime. Madam, I salute you for that stylish comment. I kept waiting for you to say that you now have no idea of what size needles you had used. Maybe i am a skeptic after all. Enjoy the moment and I hope it sticks with you the whole way through! Good luck with the knitting and with your trip and I hope it just flies nicely off the needles for you! I’ll keep my fingers crossed that you haven’t jinxed yourself. Only once in my life have I gotten both stitch gauge and row gauge, so if it were me, I’d be afraid I’d just doomed myself somehow. Here’s hoping it’s smooth knitting ahead for you! Surely the odds are that it will happen sometime. This is your time! Hurray! Unrelated, what are you doing for work these days? I pray the goddesses of yarn to bless you through this journey and that yarn chicken is not in your future. You probably already did this – but you should definitely go check the bathtub – just in case! Whoo hoo! You get to show that it can happen sometimes! There is majik in yarn! Only a knitter would understand! You just hit one of those moments when all those years of knitting experience pay off!! Good on ya. Good one. We own calendars. In other news, why are you messing with me? I’ve been compassionate about several months of blog-drought, then I go to a Tues-Sun writing conference and in exactly that time there are four (4) plump, juicy posts. Working on not seeing this as personal is tuckering me out. (By the way, I saw what you did with sliding that Mary Oliver quote in a few days ago. Smooth.) Conferences do help the in-house sock club, though. Almost anyone else, we’d say, “Hey, it’s really not ABOUT you! !”, but you, Lady Rams of the Comments: maybe it actually IS!!! Did you happen to mention your away-ness-at-conference to Stephanie???!? You LIE! Or, you’re a witch. But for your sake, I hope not! Looking forward to a new Elliot Sweater! I have been at the mercy of the leaky dye fairy and the gauge fairy. Boy was that a mistake. I thought I was knitting a sweater until I gave it it’s celebratory soak. I even pretended it would all be OK when it dried. Oh boy! Now I own a family garment that I can wear with my husband and daughter inside too – it’s great for keeping us warm – right down to our knees! Enjoy that sparkle unicorn for all its worth!!!! Somebody gets to win the game & this time it’s you so celebrate it!! If the have a lottery in Canada you really should buy a ticket before your magic wears off. Check the date of the post, all you quick congratulate-ers. The date was April 1. The day of pranks. Nobody, not even the vaunted Yarn Harlot, gets stitch and row gauge on the first try. Nice one, Steph. Zow-Wee! Batman! You are amazing! Well you know we all think that already … Maybe the planets aligned and the sun is shining on your yarn and needles at just the right angle and all is good in the universe or our solar system. The universe might be too big an ask. HOORAY!!! (honestly, the sweater KNOWS Elliot’s birthday is right around the corner and wants to be done in time, so the yarn and needles probably chatted and said things like, “ok, friend, we need to get this gauge thing bang on for her…”) Here’s to finishing the sweater in less than a week! You know that you have challenged the Knitting Goddess, right? You even spit in her eye. I am afraid for you, and am making sacrifices on your behalf in hopes of warding off calamity. That’s awesome. I haven’t done much knitting in the last year, but every time I read your blog, I want to make more time to pick up my needles. this is an April Fool prank, yes? What in the name of Arachne is going on around here??? This is either an awesome April Fool’s post or…..it’s a sign of the Apocalypse. Never mind the gauge, the colours are gorgeous. It’s a good thing you knit blindingly fast because now I can’t wait to see Elliot’s sweater. Ok just so you know? I’m totally adding “sparkly unicorn in my bathtub” to my lexicon. I completely cracked up! Now the other question is: did you have any dye issues? Dang it, why didn’t it ever occur to me that “Stripes” equals “colorwork”? Somehow I was only thinking stranded, patterned knitting was colorwork. Oh, the obvious things that escape me…. OMG, I use that phrase ” gaslighting”. No one ever knows what I am talking about. Love Love that you know what it is. I always have to tell people about the movie, and what it mean. Totally a knitter’s miracle! The powers that be must have you in their sights. Take as much advantage as you can of their good graces!! Your titles are the best! I suddenly really really need to go knit a sweater, fast, for my grandson Mathias turning two the end of the month. In Alaska, so you know it will go to good use. Thank you for the hey-you-wake-up! It’s either fate, or The Universe is just effin with you to lull you into that false sense of security. Yay for knitting Unicorns. That’s going to be lovely. I’ve been working this year on adapting my knitting pattern to the gauge in my swatch (a la Cheryl Brunette) and was wondering if you ever do that or do you keep swatching until you nail the gauge in the pattern. Wow! You just took the Gold for Canada! I’m taking this as a sign for more wonderfulness on its way!!!! Visit our website at http://www.skypuppies.com/ to make your order now. Our puppies are very friend to kids and they are potty trained and are very welcoming to strangers. You will never regret having them as a companion in your house. Our puppies are guaranteed healthy and purebred. Or is it more like finding a friendly sparkle unicorn CLEANING your bathtub? 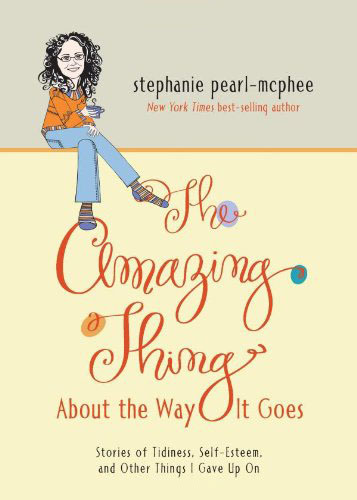 Well, miracles do happen…even to knitters. Just can’t can it and put it away for next time. *snort! * If I found a friendly sparkly unicorn it would be in my fridge, right before dinner time. Just sayin’. Epic, wish me luck with mine! Now that DFW is in the rear view mirror I cannot wait to find out if Elliot opened a completed sweater today! PS If I found a friendly sparkly unicorn I hope mine cleans house! Ohh I want to find a sparkly unicorn in my bathtub…or get gauge like that just once! Good response in return of this query with solid arguments and explaining the whole thing about that. Nothing to do with this post (nor that I have been absent for these many months) but a You Tube video I’ve just seen – an explanation of the picture of the first black hole even seen, the picture that has just been shown to all and sundry – brought me to you. The fellow talked about the bending of the space-time continuum at the black hole. It certainly got my attention – but he did not mention – or even hint at – any other knitting terms. Unfortunately I did not take not of the exact video times he talked about the s-t continuum, so you may have to watch it all the way through. OR, just read the blurb underneath the video (for a lesser mentioning of the bending of the continuum). I am nearly as excited as the scientists have been about this. Hope you will be too. All Yarns are beautiful and some like the shine of the metallic Yarn. Me too!